It is time now for the circus to build a home for the circuses. Not just a home, but a base from which to travel the world. 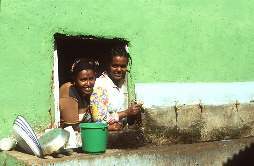 A base from which to strengthen further the links with the local communities in Ethiopia. Because it is that close link from which it gains its strength and power. A base for the children and youth of the Addis Ababa, Jimma, Mekele, and Nazareth circuses to come to learn and play and find themselves to be artists in a circus, the unique family of Circus in Ethiopia. These children and youth need a home, a place where they can be happy to work and create. The process of planning has started. There are currently negotiations about sites in the four cities and we are confident that beautiful sites will be provided by the city administrations. 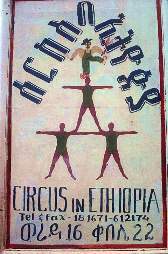 There is also optimism that the construction work for the "Home Bases" of Circus in Ethiopia will be funded by international governmental and private organisations to support the social and technological concepts behind the project. The people of Circus in Ethiopia together with two Berlin architects jointly work on a concept for a circus village. The circus village or "Home Base" will provide shelter for a wide range of activities: It will include a hall for training and performances. It will have workshops for props, clothes and other equipment needed for the performances, but also workshops for learning trades and a few spaces to produce goods for sale, from T-shirts to a bakery to supply cakes for the local community. There will be living accommodation for quite a number of children, there will be classrooms for teaching, and some accommodation for guest teachers. 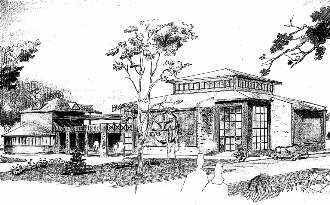 There are also dreams of future expansion to make the circus centers a cultural home for the whole community, a meeting place, a part of the urban fabric. The design concept envisages not only to plan a building for the circus but to let the process of building become part of the life of the circus itself. The aim of the architects is not to design a completed building, but to design and initiate a process that leads to building. The circus architects - Dipling. Gudrun Sack and Prof. Dipl.-Arch. Walter Nägeli - have both worked at different times - and places on projects in Africa as well as in North America and Europe. They are both university teachers of architecture in Berlin and Karlsruhe and run an architecture office in Berlin.